Describes the habits and rehabilitation of a young red fox found on the highway and brought to a special center, where it was taught how to survive in the wild before being released again. Grade 3-5 Reynard, a six-week-old red fox who became separated from his litter mates, was luckily turned over to Wildcare, an organization that takes care of injured or abandoned wild animals and releases them back into the wild when they are able to take care of themselves. 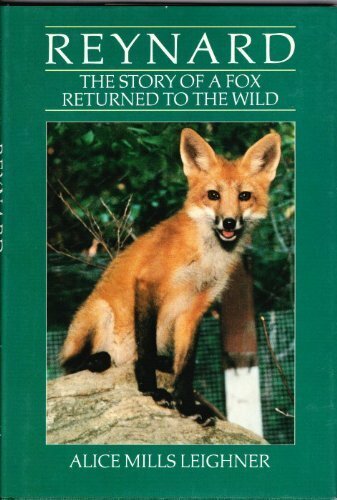 This book follows Reynard and Dona, a Wildcare volunteer, through weeks of skills training until he is at last released. As this intriguing true story unfolds, much is revealed about the red fox's behavior and habits. The brief, easily read text is further enhanced by many often endearing black-and-white photographs of Reynard at work with Dona and later at a nature sanctuary where he is reintroduced to wild conditions. This well-written, entertaining story is a good alternative to straightforward informational accounts of the red fox. Although of limited use for school assignments, it will be enjoyed by curious animal lovers. Cynthia M. Sturgis, Ledding Library, Milwaukie, Oreg.<br />Copyright 1986 Reed Business Information, Inc.